Follow-up to their acclaimed debut! These are the kinds of responses and reviews The Legal Matters’ first release generated. Listeners found the record assured, refreshing, and rewarding. The band has raised the bar on the long-awaited follow-up, titled Conrad. 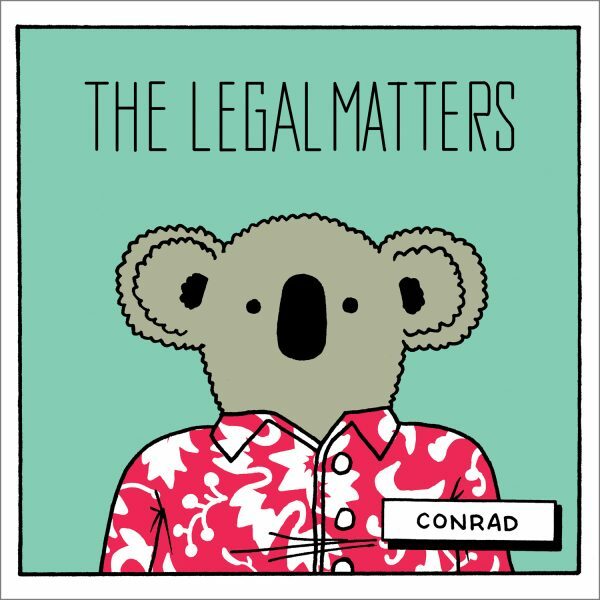 Conrad finds The Legal Matters two years on from their acclaimed debut. The songs are more confident and the harmonies more colorful. That “something special” is even more pronounced. The band—Andy Reed, Chris Richards, and Keith Klingensmith, all notable figures on the Midwest power pop scene—once again handle vocal and instrumental duties with the addition of Donny Brown and Andy Dalton on drums. Conrad features 11 songs with big guitars and bigger harmonies. The LP even comes with a bonus download of a vocal-only mix of the entire record. Take Conrad home and join the chorus.